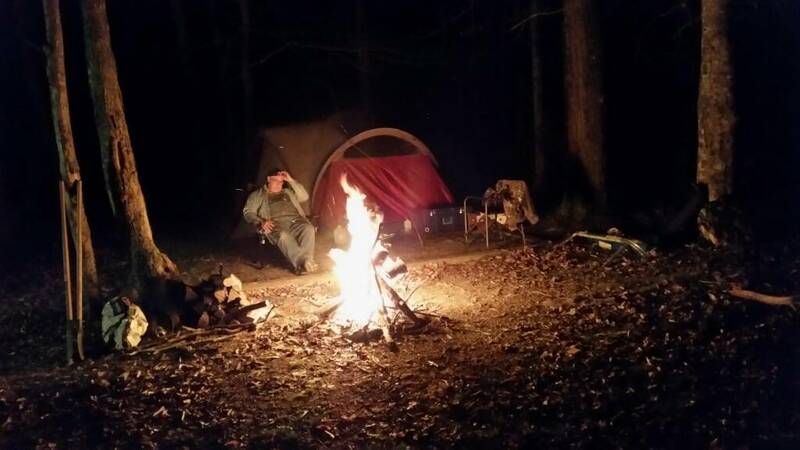 Discussion in 'Other Camping' started by killeroy154, Apr 3, 2019. Leaving out in the morning for 3 days of camping/fishing trip. Of course I am rummaging through my stuff giving a yay or nay vote. I always do this, wait till the last minute and try to lug all kinds of stuff. At least it isn't a back packing trip. 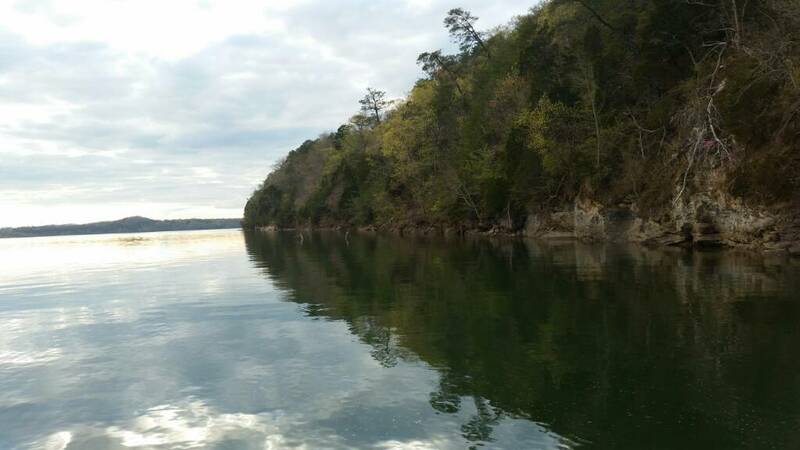 We throw our camping and fishing stuff in the boat, and take off for a level piece of dirt somewhere away from overly civilized areas. Going to get a good nights sleep, and pack rest of stuff in the morning. mr.seangill, 2sweed and Northern Dancer like this. Thank you 2sweed. It's nice to know I'm thought of. I haven't heard much from you in awhile. We just crawled in to the tent after a long day of running around. 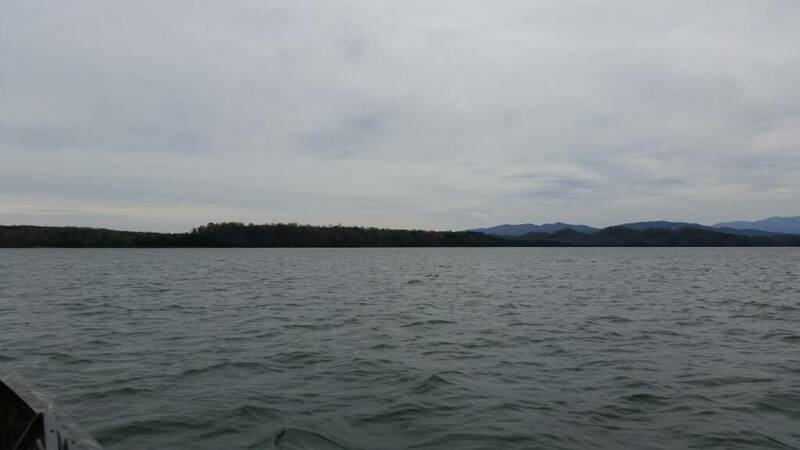 We went to a different part of the lake and found a island with greatt spots to set-up, but we couldn't find any where to safely tie the boat up. Either shallow and muddy, or so rocky it was to treacherous to walk and carry stuff, so we came back to our spot that we normally camp at. Little garbage to clean up, but not to awful bad. Rain moving in tonight and maybe out in the morning. Little breezy and 60°F right now. Temp may drop down to 50 tonight. Rain set in about midnight. 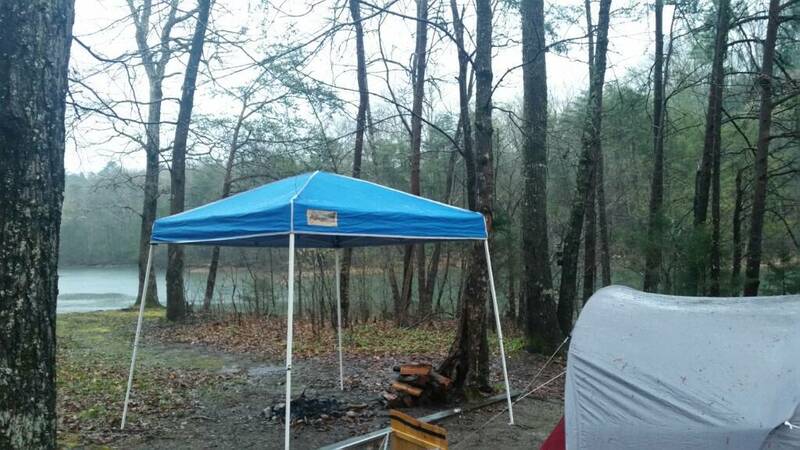 Tent started leaking on my brothers side, he's the one that setup that side of the rain fly. It did rain pretty hard, in his defence. Got up and put up awning so I could make breakfast and let my brother sleep a little longer. cooked bacon, eggs and coffee, so it be ready when he woke up. It rained till 10am. rest of day was partly cloudy with periods of sun and light breeze. 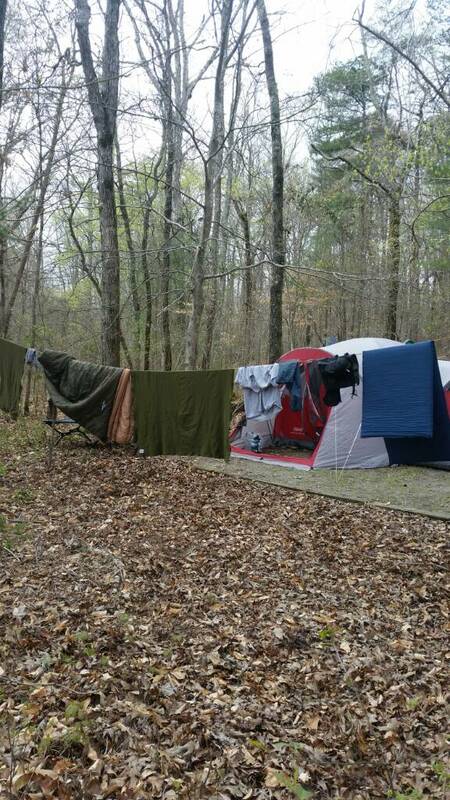 We strung up a clothes line, so we could dry his bedding out. The next night was clear and plenty of stars. Little cooler which made for good sleeping. It was in the low 40's and I was a bit cold it that 40° bag, their temp ratings are always a little optimistic, so I threw my home made down quilt over me and my bag, and I was comfy and warm. Next day was very pleasant upper 60,s with some clouds. 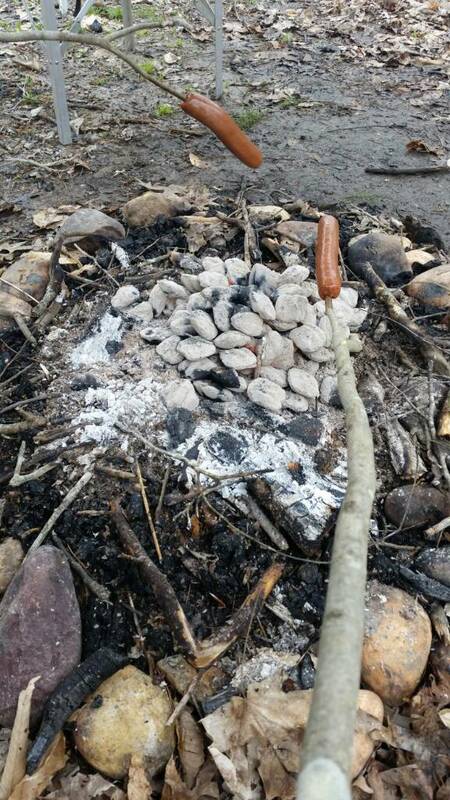 we had a bag of charcoal which was great for a short lunch of brats before hitting the water again. We had a colorful sunset with very slight chance of rain for our last night. Packing up wet gear this morning. I guess that's all I need to say about weather forcast. We had a great trip, and enjoyed each other's company. We didn't see alot of wildlife like we normally do, but I did hear some coyotes howling at sun up. Such a pretty and lonely sound. Beautiful pictures. 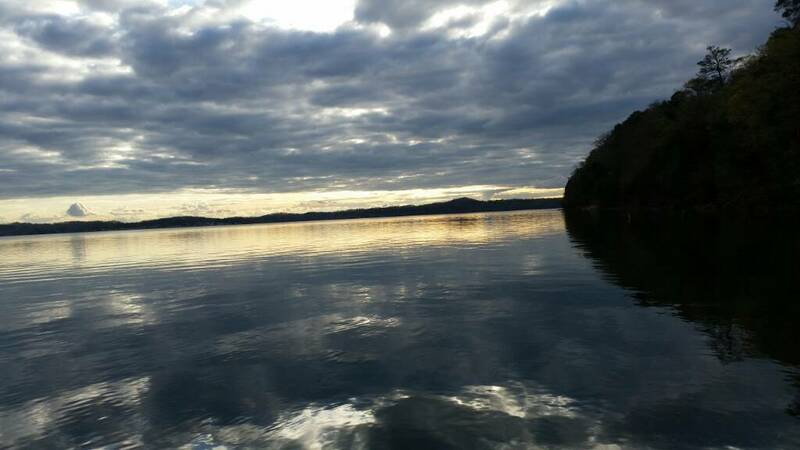 What lake are you on, as it looks so peaceful and inviting? 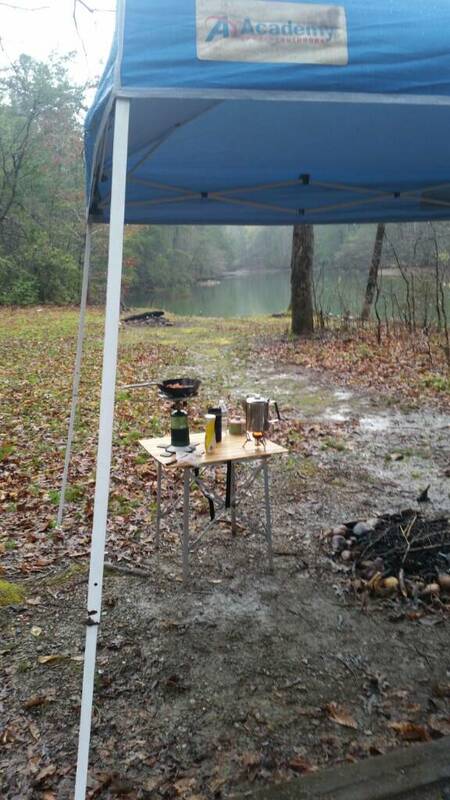 Do you generally do some fishing or just a bit of relaxing in that cozy camping spot? Sorry the weather was not good but having some fun is the main point of being there with your brother. I was off for a while and then fell and broke my shoulder and then was truly unable to do much for a month. Hopefully I will find some interesting things to talk about as well as chatting with all of you. We are sure glad your back. Hate to hear about you you breaking your shoulder, that must've hurt! 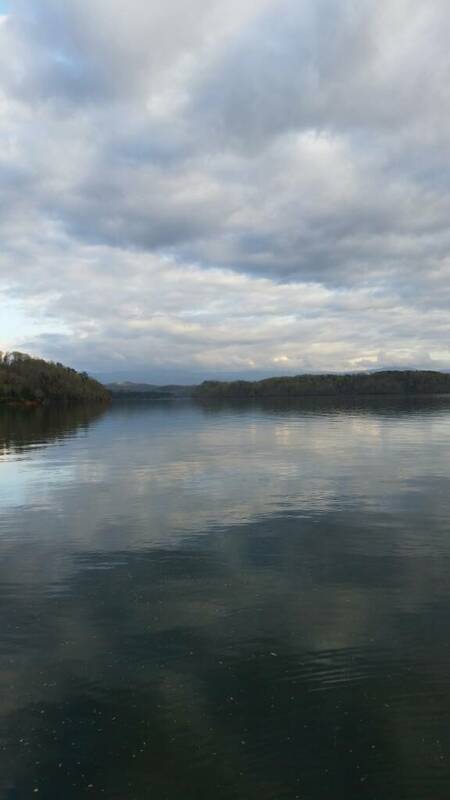 We were camping on Tellico lake south of Knoxville Tn at the foot of the Smokey Mtn park, and part of the appalachian mtns. It is a beautiful area. We had a great time despite of rain the first night. Fishing is our next best thing next to camping. Fishing wasn't great, to say the least, but we still had a good time. 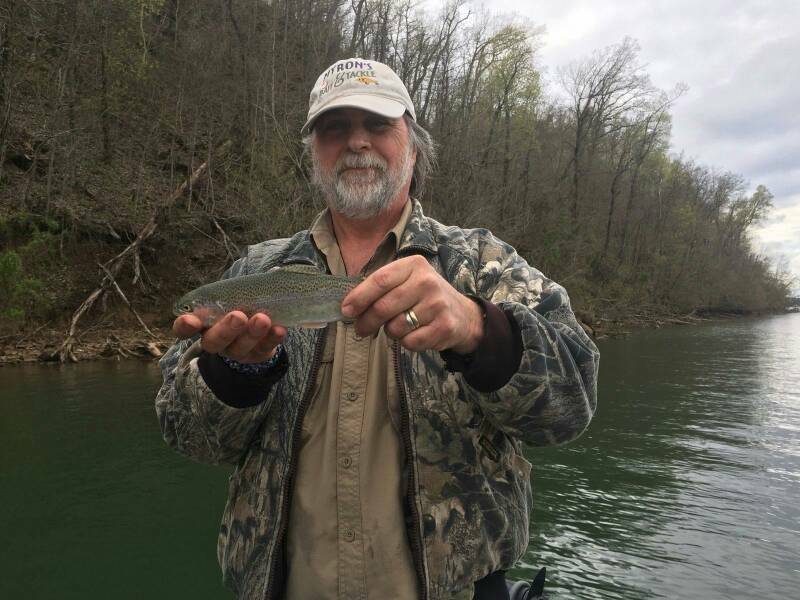 I was surprised to catch this little trout, but it is clean cold water.